OK, so this one is not really a mystery – the Huansu Hyosow C60 is a clone of the mighty Lamborghini Urus. However, I decided to included it here for two reasons. First, it shows that despite the huge progress many Chinese automakers like Chery, Geely and others have made in developing designs of their own, China’s lax intellectual property protections mean that many of the smaller manufacturers can still “draw inspiration” from other products with impunity. However, arguably the more interesting reason for talking about the Huansu Hyosow C60 is that to me it looks better than the Lamborghini in some ways. The thing about the Huansu Hyosow C60 is that while it is a car from a much lower segment than the Lambo (it has a 181hp 4-cyl, compared to the mighty super-SUV’s 640hp V8), it is almost as long as the Lambo (4.8m vs 5.1m) and almost as wide (1.9m vs 2.0m), which gives it pretty good proportions. Given the similar “canvas” that the Chinese manufacturer had to play with, the surprise is that the C60 looks better-resolved from the front angle. For starters, the front benefits from fewer sharp creases than the Lamborghini, which to me looks a bit “overdone”. The lights on the C60 also somehow look better integrated than they are on the Urus, whose aggressive lights always reminded me a bit of the Mazda3. Then there are the details: the horizontal strip in the middle of the front bumper neatly separates the space below the C60’s front lights, which on the Urus looks needlessly droopy, like a bulldog’s mouth, while the fake air extractors behind the front fenders look better-integrated than the jarring plastic items on the Lambo. 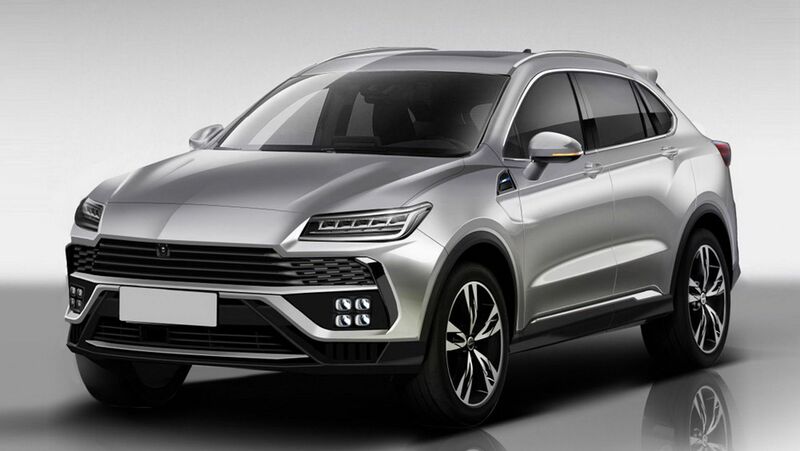 Of course, overall, you can’t argue that the Huansu Hyosow C60 is overall better-looking than the Lamborghini Urus (the rear, for example, owes more to a 20-year-old Lexus RX than to the Lambo), but to me it shows that Lamborghini’s designers could have done a better job still of turning the Urus concept into a production model. Landwind and Zotye still draw their design inspiration from other auto makers. Not sure Chery is all that original. But at least the Tiggo no longer looks like a RAV4 clone. A copy is considered to be a compliment and admiration in China. They even have a Chinese Eiffel Tower! It’s a cultural thing. I like the copy better. To my eyes, it’s as if Porsche designers have had some input. More ordinarily than not, tipsters, readers, friends, and next of kin of Eater comprise harmonious without a doubt: Where should anyone devour vindicate now? Restaurant obsessives poverty to understand what’s restored, what’s burning, which favorite chef just launched a sophomore effort. And while the Eater 38 is a decisive resource covering expert standbys and neighborhood essentials across the town, it is not a register of the “it” places of the moment. Fashion, the crew offers the Eater Heatmap, which will difference on a symmetrical basis to perpetually highlight where the crowds are flocking to at the moment.